Aluminum has been around for a countless amount of years and at one point was even considered more valuable than gold. 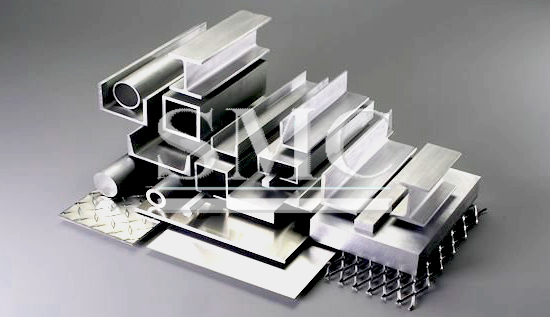 This metal has made an impact within our lives and is used daily – cars, aircrafts, currency, electronics, etc… This metal has properties that make it one of the most important metals in our industry today. The uses are endless, and recently new applications have been evolving for the metal. One new way that aluminum has been used for is “transparent aluminum” introduced by Surmet Corp.’s ALON Optical Ceramic. Surmet has been able to develop an aluminum based ceramic that is strong enough to withstand a .50-cal armor-piercing bullet at close range, but it also light and thinner than any bulletproof glass. The aluminum is heated at a very high temperature to melt the material. It is then left to cool and freeze with the molecules in a scattered state. This is what gives the material the ability and strength to be scratch resistance that is comparable to sapphire. The material can be molded into any shape and is polished to achieve its clarity. A North Carolina State University, researchers have also developed a new way to integrate aluminum in everyday uses. The team has developed a “Metallic Cushioning material”, also known as aluminum bubble wrap. This type of bubble wrap was developed to be stronger than sheet metal while also being heat and chemical-resistant over other cushioning materials like plastic. In order to produce this, the team took a sheet of aluminum and dented it with a studded roller to create pockets within the sheet. They are then filled with a calcium-carbonate or titanium-hydrate foaming agent that is sealed with another sheet of aluminum. It is then heated which helps decompose the foaming agent that leaves behind bubbles. This wrap weighs 30% less than sheet metal but still holds the same thickness and is 50% stronger. The world collectively is putting in efforts in shifting to a cleaner environment. Aluminum can be used to help clean up with environmental disasters such as oil and diesel cleanup efforts in water ways like lakes, rivers and oceans. Oil is very difficult to clean, most of the time only the contaminated surface is dealt with leaving the rest untouched. Scientists from the Argonne National Library have developed an aluminum net that has the ability to capture both diesel and oil residue on and in the water. While cleaning up the waters, the oil and fuel being collected can actually be reused. This net called “Oleo Sponge” was designed out of polyurethane foam. The interior is coated with olephilic molecules that use a sequential-infiltration-synthesis technique allowing the scientist to grow inorganic materials within polymers. In this case, an aluminum-based metal oxide was used as a primer to attract oil.